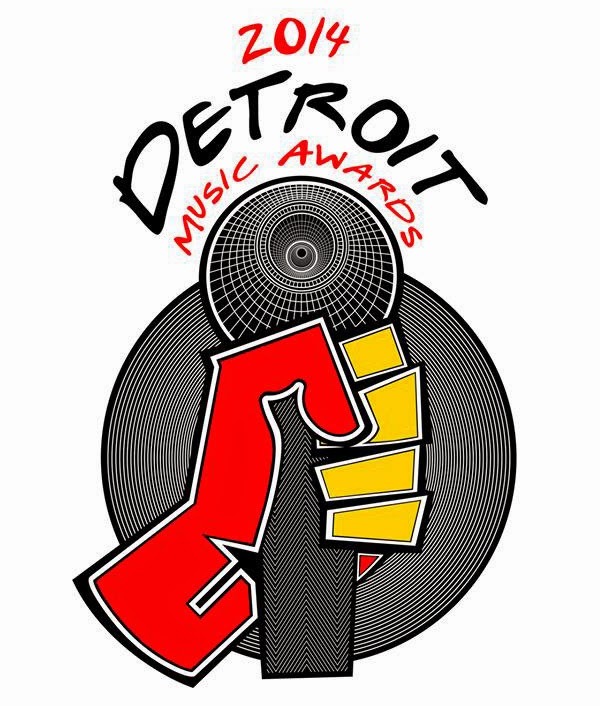 The 23rd Detroit Music Awards were held at The Fillmore in Detroit last Friday. This year's winners included Emily Rose, The Infatuations (winning 4), 1592, and Wilson. Yes, that Wilson. The kings of fuckery actually took home a DMA. Christie and I attended the festivities and talked to some of this year's nominees and winners. First, we caught up with producer Matt Dalton who is co-owner of 37 Studios. He was nominated with his partner for the Award of Best Studio as well as Outstanding Record Producer. Next, we talked to Josh from The ILL Itches. He put out a record this past year with Lee Majors, called The Pathetic Sounds of Detroit. The album was a compilation of artists in the area including The HandGrenades, White Shag, and Emily Rose. Josh talked about the making of the album and what he is working on next. Finally, we chatted with Kyle Landry from Wilson about winning his first DMA. He was surprisingly talkative and exceptionally funny. After the interview he spent the evening carrying around a baggie with a DMA and a package of travel Cottonelle wipes. Watch the interview, you'll get it. We saw some positive changes this year and you could definitely tell by the vibe and people in the room. Although the atmosphere wasn't completely different from when we went a couple of year's ago, the DMA team is moving in the right direction and we're anxious to see more changes and improvements for next year. We would like to see even more great acts get the attention that they deserve too. For a full list of this year's winners go here.